A WOUND IN TIME: STAGED READING OF "BLOOD MAKES THE RED RIVER FLOW"
STAGED READING OF "BLOOD MAKES THE RED RIVER FLOW"
Sunday was the staged reading of my latest play "Blood Makes The Red River Flow" which was inspired by my interviews of Louisiana Creoles 10 years ago while filming my documentary "The Descendants of Africa". The cast did a fantastic job with only 2rehearsals! Directing them was a joy! Now I will be editing the script and adapting it to screenplay as well. 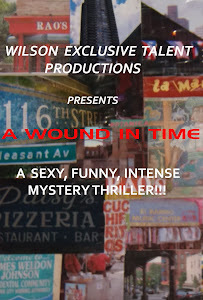 I will also be focusing on getting "A Wound In Time" on DVD to share with the world! LOL Stay tuned!